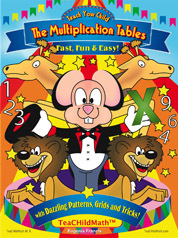 is included FREE with every workbook. 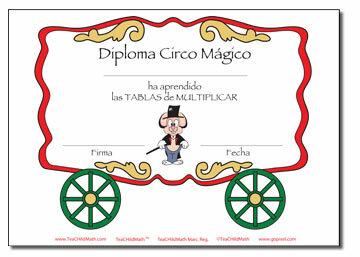 A DIPLOMA in Spanish is included FREE with every Spanish workbook. SCHOOLS, SPECIAL ED TEACHERS & AD/HD COACHES: To order more than 12 workbooks, please e-mail using the Contact form on this website. 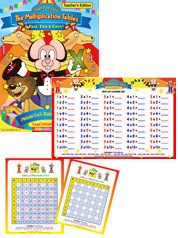 SCHOOLS, SPECIAL ED TEACHERS & AD/HD COACHES: To order in quantity for classrooms, please e-mail using the Contact form on this website. There is 7.75% sales tax for CALIFORNIA residents. 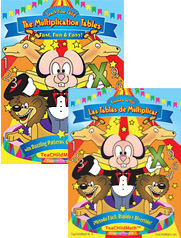 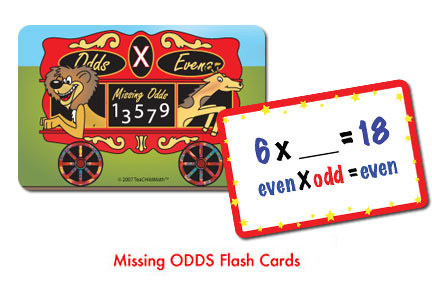 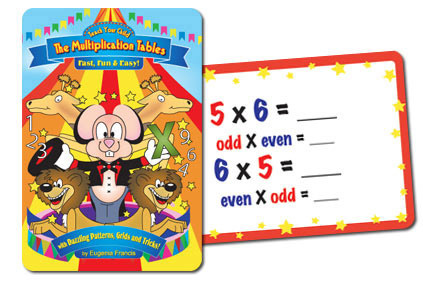 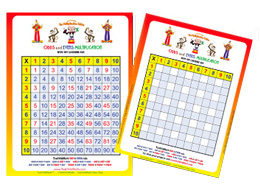 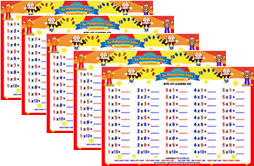 Teach your child the ODD/EVEN Rule of Multiplication with these FUN flash cards for tables 1-10. 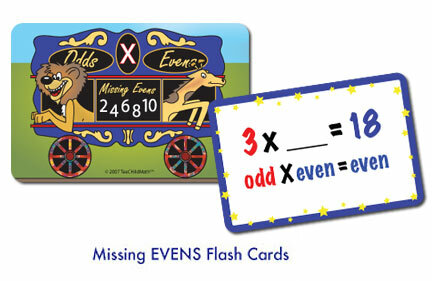 When figuring out the missing factor, your child/student is in fact doing division. 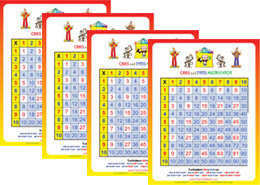 This product includes two decks (50 cards in each deck) and the rules to two fun games.